Discover why Nice in France ranked #79 in our countdown of ‘100 Most Incredible Cities in the World’. The Promenade des Anglais, a broad and picturesque seaside walk. Curving along the azure coastline, it stretches from the airport towards the old historic region of the town, known as Quai des Etats Unis. 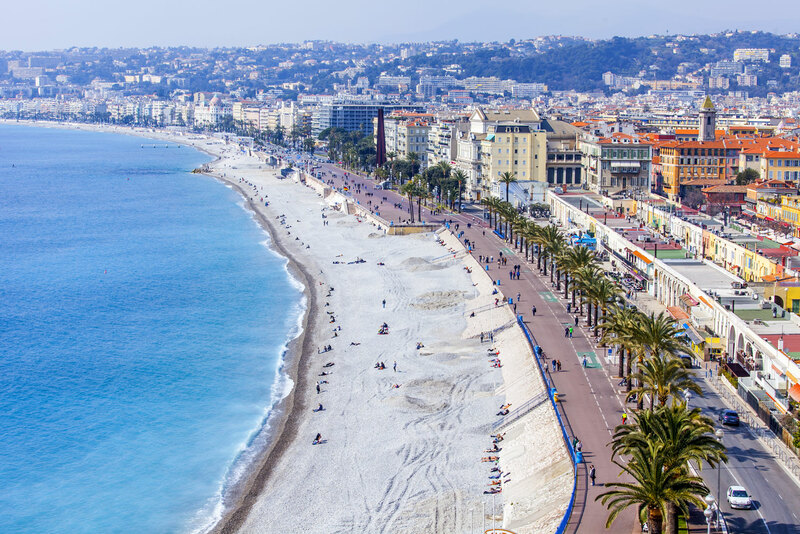 Boasting the title of second-largest French city on the Mediterranean coast, Nice is a buzzing town of Baroque architecture, al fresco cafe culture, upmarket shopping districts, historical laneways and is within an arm’s reach of the ultra-glam coastal strip of Monaco. An archaeological site known as Terra Amata in Nice dates back 400,000 years and documents some of the first evidence of fire-making and habitat building.